Some great new DVDs released in this week, including the zombie romance story "Warm Bodies", "A Good Day to Day Hard" which is an action flick and famous animated feature "Escape from Planet Earth." Let’s take a look on these top-tier titles. 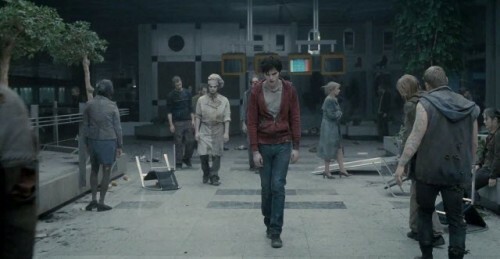 ‘Warm Bodies’ is based on Isaac Marion's novel of the same name, describes a paranormal romantic zombie comedy story. The film is released in American this early year. It’s a 98-minutes movie which marks as Rated PG-13 for Zombie. The story focuses on the development of the relationship between Julie, a young woman, and "R"(Nicholas Hoult), a zombie who is the most unusual zombie you’ve ever seen on film. Review of Rotten Tomatoes says it offers a sweet, well-acted spin on a genre that all too often lives down to its brain-dead protagonists. And some professionals note it is displaying human characteristics in zombie characters, and for being told from a zombie's perspective. ‘A Good Day to Die Hard’ is the fifth installment in the Die Hard film series. 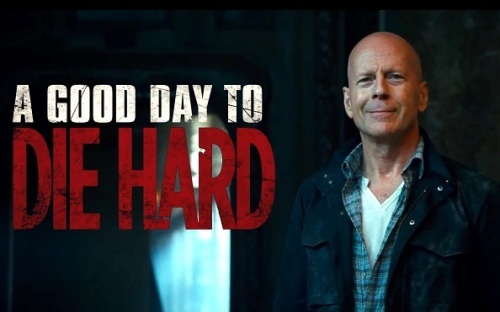 In this year, Bruce Willis reprises the lead role of John McClane, who travels to Russia to help his estranged son, Jack (Jai Courtney), out of prison, but is soon caught in the crossfire of a terrorist plot. This action film premiered in Los Angeles on January 31, 2013. This movie received lots of negative reviews. It was a critical disappointment for professional reviewers. But as the first Die Hard film to use Dolby Atmos Surround Mixing and the first to also be released in IMAX theaters, it nevertheless grossed over three times budget worldwide compare to the first film in the series. ‘Escape from Planet Earth’ orbits best around the pre-school set. This film is a Canadian 3D computer animated family film produced by Rainmaker Entertainment, and it was the first Rainmaker Entertainment film theatrically released, on February 15, 2013. Because of action and some mild rude humor, this 89-minute movie is rated as PG. Actors include Ricky Gervais, Jessica Alba, Sofia Vergara and Sarah Jessica Parker lending their voice talents in this film. Moreover, there are enough jokes to keep the adults interested as well. 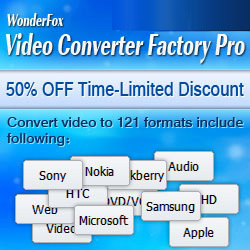 With these great DVDs, you may need WonderFox DVD Video Converter, which is a powerful DVD video converter which can help you backup your DVD content into your computer hard disk. And it also enables to convert the video to your portable devices such as iPad, PSP, Xbox, Apple TV, iPhone or other smart phones with the Fastest Conversion Speed.